A classically designed detached family home built to the highest standards with magnificent attention to detail. 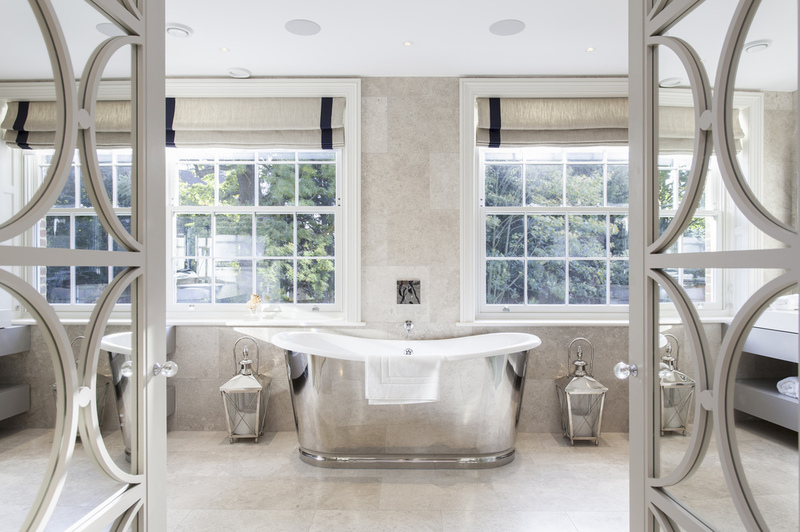 This boutique property offers interiors that are rare to find in a newly built property, and has set new standards within the exclusive Coombe Estate. The exquisite interior design is unique to Kylemore House and the property boasts accommodation in excess of 8,800 ft2 (820 m2) with a further 360 ft2 (33 m2) of loft storage- totalling 9238 ft2 (856.2 m2) The house is sited within the stunning landscaped grounds of 0.60 of an acre. The Coombe Estate is located equidistant between Kingston and Wimbledon town centres. Both have excellent shopping facilities, and specialised boutiques to a wide range of restaurants meeting the palates from across the world. The A3 trunk road offers fast access to central London and both Gatwick and Heathrow airports via the M25 motorway network. The nearest train station at Norbiton is within walking distance, and the 57 bus route runs along nearby Coombe Lane West to Wimbledon from which there are frequent services to Waterloo with its underground links to points throughout the city. The Coombe Estate is only 8 miles from the West End and the immediate area offers a wide range of recreational facilities including five golf courses, tennis and squash clubs and many leisure centres. The 2,360 acres of the famous Richmond Park, an area of outstanding beauty, is easily accessed from the nearby Kingston Gate and Ladderstile Gate, providing a picturesque setting in which to picnic, go horse riding, jogging or just take a leisurely walk. Theatres at Wimbledon and Richmond are also popular alternatives to the West End. The property itself is located along Warren Cutting, an exclusive cul-de-sac within the Coombe Estate. This leafy and quiet lane is approached from Warren Road and boasts some of the most sought after properties in the Coombe Estate. A wide variety of highly acclaimed schools are only a short walk away on George Road. The prestigious Coombe Hill Golf Club is within a minute’s stroll via the direct pedestrian access from Warren Cutting. Kylemore House benefits from automated secure wrought iron gates with a video entry phone leading to a generous gravelled carriage driveway and ample forecourt parking, accessing a double garage. 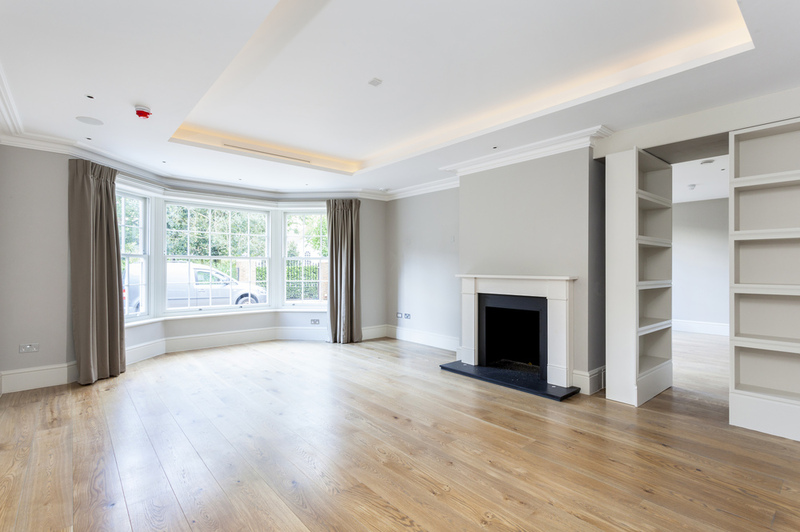 The Ground Floor enjoys superb lateral living space of approx. 4,954 ft2. The magnificent entrance hallway boasts tumbled marble floors and a stunning central triple height space. This is complemented by the elegant elliptical main staircase that sweeps up to each level. A formal drawing room and dining room with spacious bay windows flank each side of the hallway. 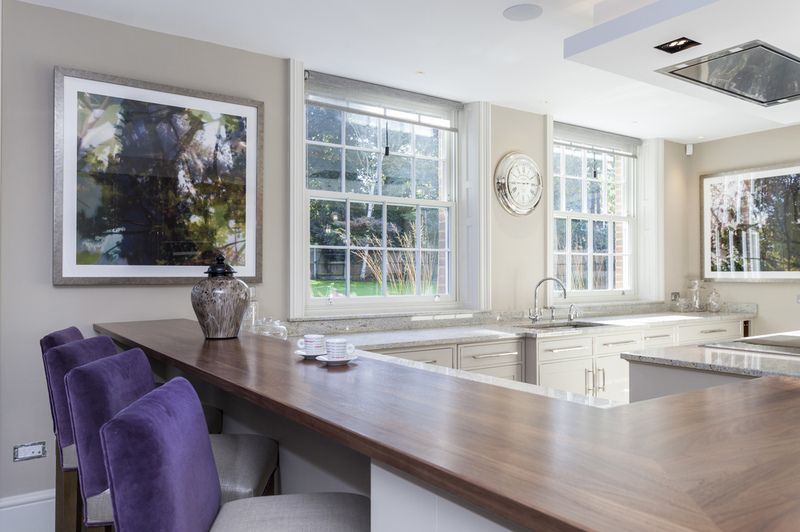 The sumptuous walnut and hand painted kitchen through double doors is designed by David Linley and has polished granite worktops. Overlooking the southerly landscaped gardens, a family room adjoins the kitchen which can be sectioned off by sliding doors. The orangery wing spreads to the south-east, where the study, a guest cloakroom and orangery media room are located. 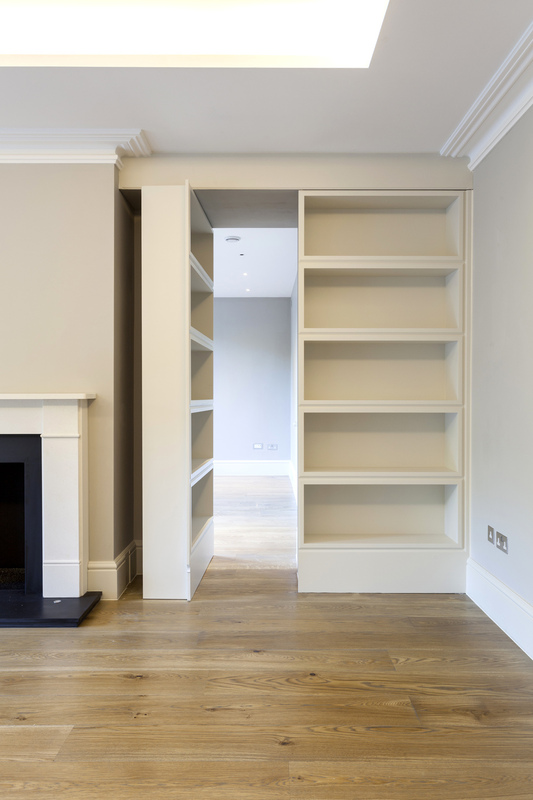 A clever secret door within the bookshelves connects the study with the formal drawing room. The large media room has a long skylight overhead, a full width contemporary glass wall and bi-fold doors leading out to the rear terrace. This amazing flexible space is designed to be multi-purpose and can be converted into a cinema room in seconds at the touch of a button. Concealed drop down blinds and a skylight blind darken the room, while a 2m wide cinema screen emerges from the ceiling. 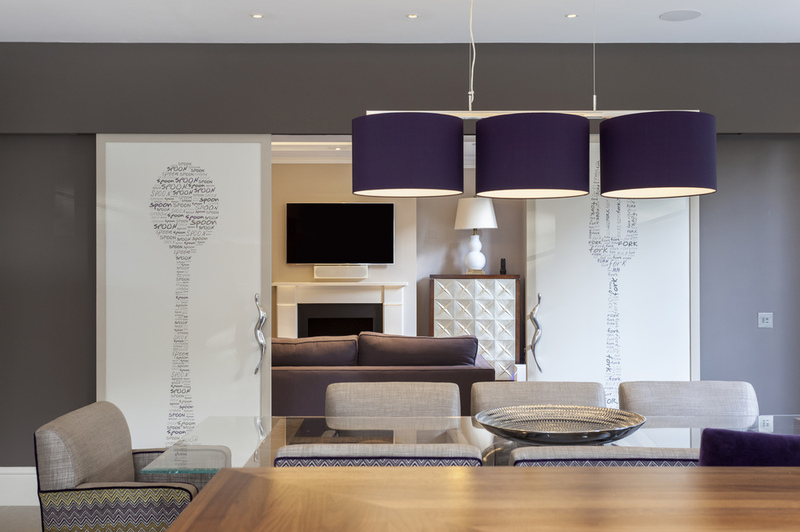 A 65” LED Samsung TV is also recessed into bespoke media cabinetry in addition to the cinema projector on the ceiling. 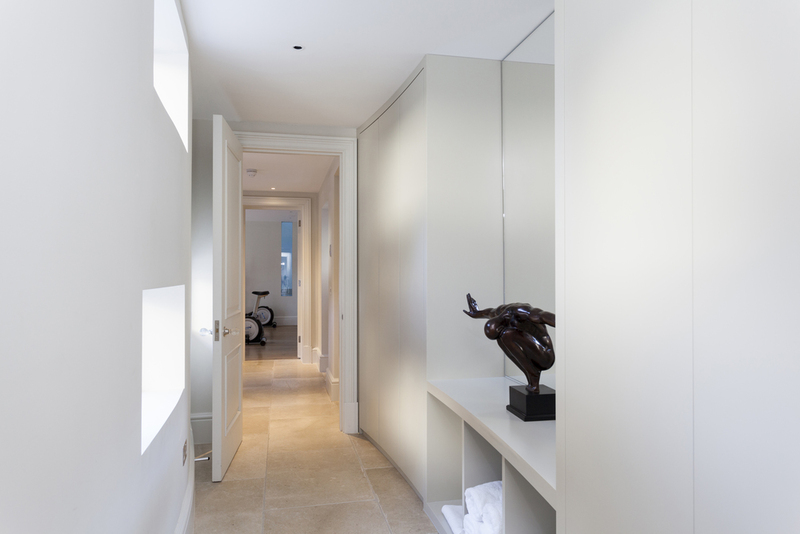 A feature curved wing containing build-in cupboards to the west of the central hallway leads to the leisure facilities of the property. These include a large gym and indoor swimming pool both with expansive bi-fold doors that lead out to the south facing terraces and gardens. The pool benefits from dedicated shower, WC and changing facilities. Accessed via the curved connecting wing, is the wide double garage, a second guest WC and a fully self-contained luxury flat over the garage, with kitchen/living room, double bedroom and en-suite. A main feature of Kylemore House is the flow of natural daylight throughout the house, be it from all the windows or through the two skylights flooding light through the two galleried atriums spanning the three levels. The signature area in this property lies on the first floor in the form of the opulent master suite which resembles a presidential suite in a five star hotel. The double doors off the hallway lead to the private master living room with French doors out to the rear balcony overlooking the gardens. 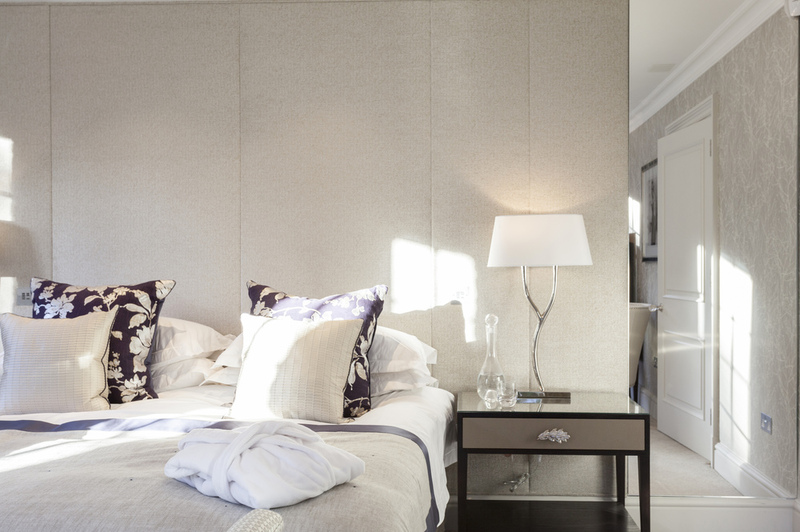 To the right, the sumptuous master bedroom boasts 4 sets of French doors opening out to the private balconies. 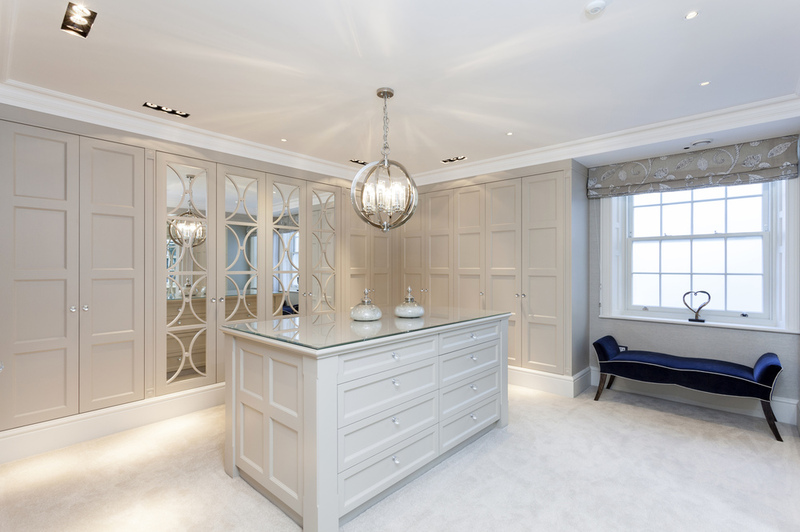 To the left of the private master living room, the dressing room is comprehensively fitted with bespoke hand-painted wardrobes and central island units designed by Richard Baker. Double doors opening into a luxuriously appointed master bathroom offering his and hers vanities, free-standing polished nickel plated bath, separate enclosed shower and separate enclosed WC and bidet. 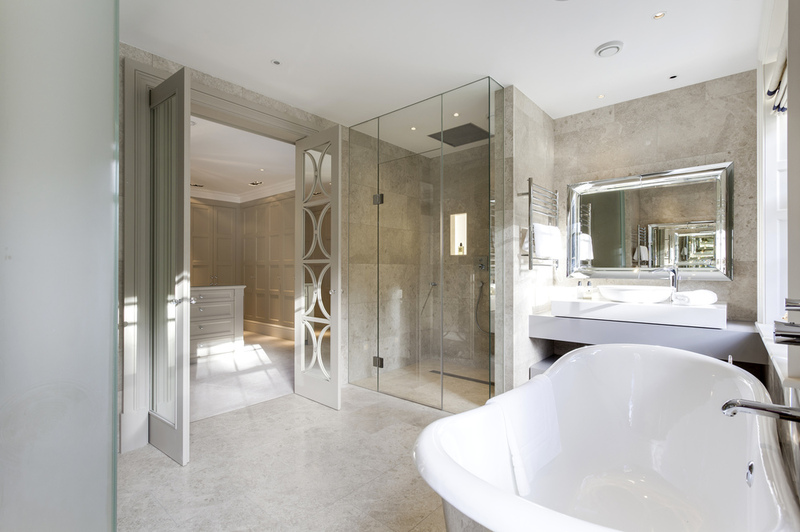 The walls and floor are beautifully tiled with marble slabs. There are two further double bedrooms with luxurious en suite bathrooms/shower rooms to this level also each with bespoke Richard Baker fitted wardrobes offering ample storage space. The second floor offers a further 1506 ft2 and benefits from a further large bedroom suite with dressing room and en suite bathroom, two further double bedrooms, both with built-in cupboard space. There is also a full family bathroom and a well-equipped laundry room including Miele washing machine and tumble dryer. This level is especially suitable for young children with a live-in nanny. A secondary laundry area is located on the ground floor within the garage. The property is being sold incorporating all the fixtures and fittings (excluding the loose furniture and works of art) but including all carpets, curtains, blinds, televisions, 3D projector, Denon AV receivers, surrounds and Denon DVD player to the orangery, and all other TVs throughout the house, built-in speakers are found throughout the property recessed in the ceilings. There is a user-friendly house audio system enabling music and digital radio to be broadcast in various rooms. It is made up of 8 x Sonos Connect interconnected system installed in principal rooms. This allows for full independent control to each of these principal rooms. Therefore, someone can wake up to the news in the bedroom, while their partner listens to music in the master sitting room and a different channel playing in the Kitchen etc. All audio is delivered through discreet wall or ceiling mounted B+W speakers and the system is fully expandable to other rooms if required. The system can be fully controlled via remote or mobile phone app. The whole house is covered by a Barking Dog alarm system with access pads and can be expanded further using the CAT 6 system and connected to a police linked central monitoring service. The property has been constructed to extremely high energy efficiency standards including a solar panel system that has the capacity to generate 7.4Kw and may benefit from an annual grant of circa £1,000 per year, plus 50% of the value of the unused power generated. The lighting throughout is also highly energy efficient, in keeping with the latest Code 4 of the Code for Sustainable Homes requirements The lighting control system is a programmable multi-function scene setting system. The house also has a rainwater harvesting system that provides grey water to flush WCs and feed garden irrigation system. There is a whole garden and beds automated watering system fed from a 10,000L tank located under the rear lawn. The property will benefit from a 10-year LABC new homes warranty; there will also be a specialist concierge service for the first year after purchase that would be available to assist with any potential teething problems.